With a $1.1 billion price tag, Sony's American headquarters in New York City is in the process of being sold. In an effort to "strengthen its financial foundation," Sony is selling its U.S. headquarters, located in New York City. The $1.1 billion sale is expected to result in net cash proceeds of $770 million "after repaying debt related to the building and other transaction costs." 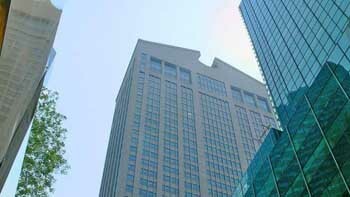 Sony Corporation America, Sony Music Entertainment, and other Sony businesses located in the building will remain there for up to three more years under a leaseback arrangement with the buyer, The Chetrit Group. The sale of the 37-story building, located at 550 Madison Avenue, is part of a "range of initiatives" Sony is taking in order to improve cash flow. To do this, the company is "carefully selecting investments, selling assets and strengthening control of working capital such as inventory." The sale is expected to be completed on March 15, and with the fiscal year ending on March 31, the operating-income gain of $685 million is sure to have an effect on Sony's projected earnings. Sony is currently reevaluating its financial forecast for the fiscal year to take it into account.